Happy New Year from all at Nutricia HQ. Have you made any resolutions, plans or commitments for 2019? If you’re aspiring to cook more, our recipe of the month is just for you! 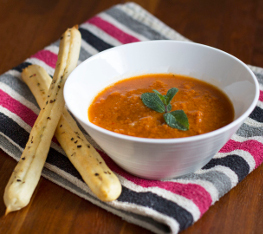 A delicious warming soup that can be made more substantial by adding some low protein pasta. This is just a selection of the recipes that you can find on www.lowproteinconnect.com. Don’t forget to share your low protein creations with us on social media! We wish you the very best for 2019.